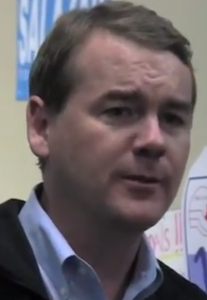 The Colorado political blogosphere erupted last week in response to Senator Bennet’s screaming rhetoric on the floor of the Senate. The response came from both sides of the aisle: Democrats excited about him actually showing signs of life, and Republicans pointing out how forced and awkward Bennet was as he had to dramatically shift out of character to offer up angry rants to his Trump-hating masters. We all knew it was an act – but the extent of it wasn’t clear until this week. In fact, things turned out it was such an act (and a horrible one at that) that it was the complete opposite of his prior position on a border wall. What changed? Simply a different guy in the White House – a guy who wasn’t on “his team.” This type of cynicism is what Americans have grown to hare about the political process. Does anyone actually believe that Bennet had some sort of change of heart based on analysis, thoughtfulness, and reason? Of course not. He was just there to put on a cheap act in front of the camera, potentially to benefit his fun for President, if that’s legitimately still a thing. So when we are thinking about the cynicism in politics, look no further than our our Silent Senator, and remember when he did exert the energy to open his mouth, this is what came out. « DISASTER OVERDOSE? If Heroin Injection Sites in Colorado Have Lost Polis….